What is there to say about Chris Tomlin that hasn't been said before? Yes he is a great songsmith, a great musician, a strong vocalist and a very good worship leader. This we all know. Yet time and time again he manages to produce album after album which include track after track of an amazing quality. 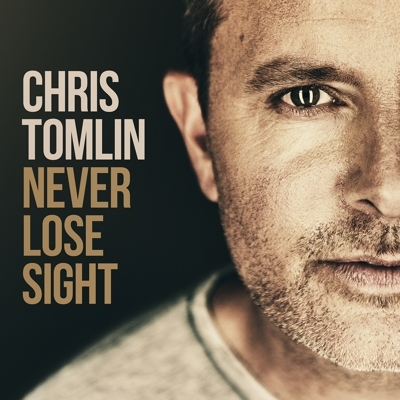 Read More What is there to say about Chris Tomlin that hasn't been said before? Yes he is a great songsmith, a great musician, a strong vocalist and a very good worship leader. This we all know. Yet time and time again he manages to produce album after album which include track after track of an amazing quality. Funnily enough, and I might be wrong, but when Chris finally calls it a day from releasing music it's not the albums that he will be remembered for, it will not even be the songs. I think what people will remember is how Chris could lead people in worship, taking them closer to God time and time again. His strong ethos of seeing God's face no matter what, but also being sensitive to listen to what God is doing by the Holy Spirit. Chris is a worship leader who is always after the heartbeat of God. This now leads me onto the new album from Chris titled 'Never Lose Sight'. An amazing set of songs taking the listener on a journey. It's an album for anybody to use in their personal time of worship to God. These songs will uplift you, encourage you and take you to the throne room of God. This album features special guests, including American Idol alum Danny Gokey and worship leader Kim Walker-Smith, with the deluxe version delivering three additional tracks, including "Kyrie Eleison," a collaboration between Tomlin, Matt Maher, Matt Redman and Jason Ingram. From a musical sense, this sounds like a very Chris Tomlin kind of album. Actually it has a more of a classic Chris Tomlin sound than we have heard over the last few albums. It's an album that pushes away all the bumf and goes back to the heart of the song as the songwriter would have written it before it went into recording and production. I wouldn't say this is raw, stripped back worship but this album does have a small tendency to do this. I actually found my standout tracks so hard to pick. Special mentions must be given to these tracks as they all grew on me after each listen. Impossible is a great song, Home is a very catchy track and First Love has some beautiful vocal moments. These are great melodic worship songs that will be picked up easily by the listener. It will not take you long to have these songs as part of your daily repertoire that you catch yourself singing when you are doing your daily routine. Chris has gone back to what he does best and made one of the best worship albums you will hear this year.